Political philosophy, which deals with normative questions about how power should be used and distributed, rights and obligations, the nature of justice and the ideal state. American politics, which is concerned with campaigns and elections, parties, elected executives, legislative processes, and issues of public policy. Public administration, which studies the role played by public employees in policy making, planning, personnel management, taxation and finance, and in responding to the needs and problems of communities and the nation. Public law, which involves the judicial process, civil rights and liberties, and the significance of such terms as equal opportunity and due process in the United States. Comparative government, which raises the same questions of politics, administration and law about other countries, and moves toward conclusions based on comparisons between them. International politics, which is concerned with relations between the states and other international actors such as multinational corporations and the United Nations and with the underlying realities of power, based on resources, wealth, military preparedness and national security. Understand the relevance for politics and policy-making of formal political institutions, rules, and processes in the U.S. and cross-nationally. 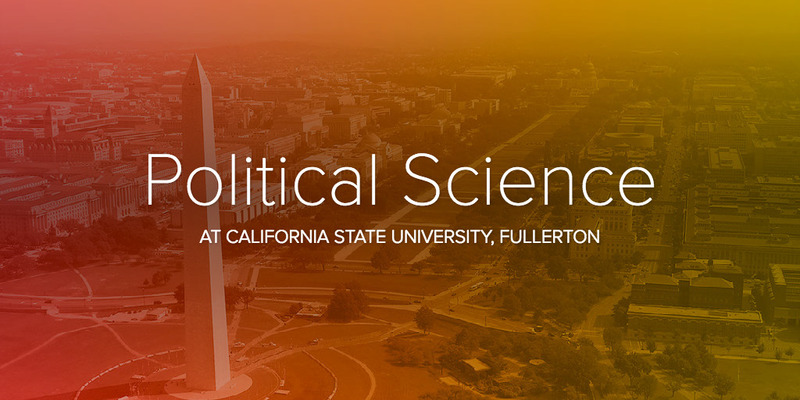 Understand the relevance for politics and policy-making of non-institutional aspects of politics, including the roles of class, race, gender, religion, and political beliefs in the U.S. and cross-nationally. Understand and use different theories and methods of studying politics including understanding the role of theory, both normative and empirical, in political analysis and argumentation. Demonstrate proficiency in the use of various tools of analysis, including library research, computer skills, and data analysis techniques. Understand and use interdisciplinary knowledge important to the study of politics. Be provided with the opportunity through internships to experience politics directly. Be able to think and write clearly, critically and intelligently about politics. A major in political science prepares students for law school, government employment on the local, state and national levels, foreign service, teaching, business, journalism, or leadership in civic and political activities. For prelaw students, the department provides a series of law-related courses numbered in the 370 and 470 series (see course descriptions). There is a prelaw adviser and an active Prelaw Society which enables students to make close and direct contact with the work of attorneys, judges, etc. The department is closely tied to the College Legal Clinic, which provides free legal advice for students and others who cannot afford the usual costs.